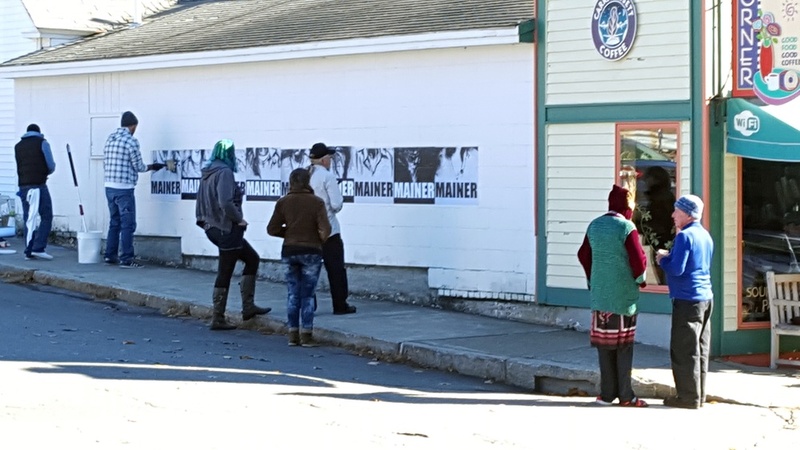 The Water Bear Confabulum is an annual alternative arts festival and series of events in Farmington, Maine that celebrate diverse artistic and community voices. The gathering invites the re-imagining of everyday places in the town and its environs in surprising ways through art and performance. By subverting traditional functions and expectations of known places through the arts, and by artistically invading overlooked and unconventional spaces, artmakers bring fresh attention to the fabric of the town and to the local conversation with global ideas. The Water Bear (or tardigrade) is a unique and enduring animal living unseen among us, adapting to new environments, even to the extreme landscape of outer space. A confabulum conflates the meanings of confabulation: first, to simply engage in conversation, and second, the psychological meaning--the brain’s compulsion to generate fictions to fill absences in memory.